I have written a short book called Dirty Rubles: An Introduction to Trump/Russia. It is available in print, and as an e-book. 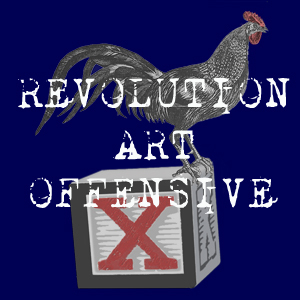 It is a 120-page Trump/Russia primer, similar in tone to my summary threads on Twitter, and drawn extensively from my work here at The Weeklings. I hope that it will be a useful resource in broadcasting the truth about Donald Trump. Writing a book about Trump/Russia is like jumping off a moving train. Trump is a locomotive, hurtling down the tracks, spewing filth a mile a minute. Instinctively we try and keep up. But it’s necessary sometimes to stop, look around, and take stock of the situation. Dirty Rubles is my attempt to do just that. It is a short book that presents an OVERVIEW of Trump/Russia. Nothing fancy. Nothing complicated. Just a primer. Because we need a primer. Because if the fate of the nation hinges on whether, say, my parents can tell the difference between Sergei Lavrov and Sergei Gorkov, we are all doomed. It is designed for people who have not been following the story closely, so they can be brought up to speed. But Dirty Rubles is also a handy review, for those of us who HAVE had the misfortune of following the Trump/Russia saga. (It’s also a great gift for the MAGA devotee in your life, who will need an overview when they realize their Emperor is buck-naked & hung like a gerbil). 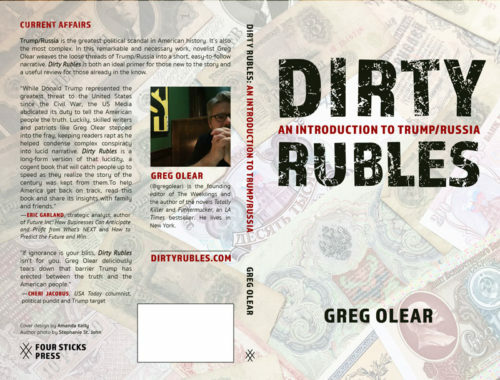 In which I present my bona fides, such as they are, and explain the purpose of the #DirtyRubles book. We reflect on the impossibly long odds of a Trump victory. Listen to me read it, here. I hope that you will buy and read #DirtyRubles, and more importantly, share it. This entry was posted in Trump/Russia and tagged dirty rubles, DirtyRubles, Putin, Trump, Trump Russia. Bookmark the permalink.